With the continuous clampdown on the international ivory trade, overall African Elephant numbers are still not up to the levels one would expect . 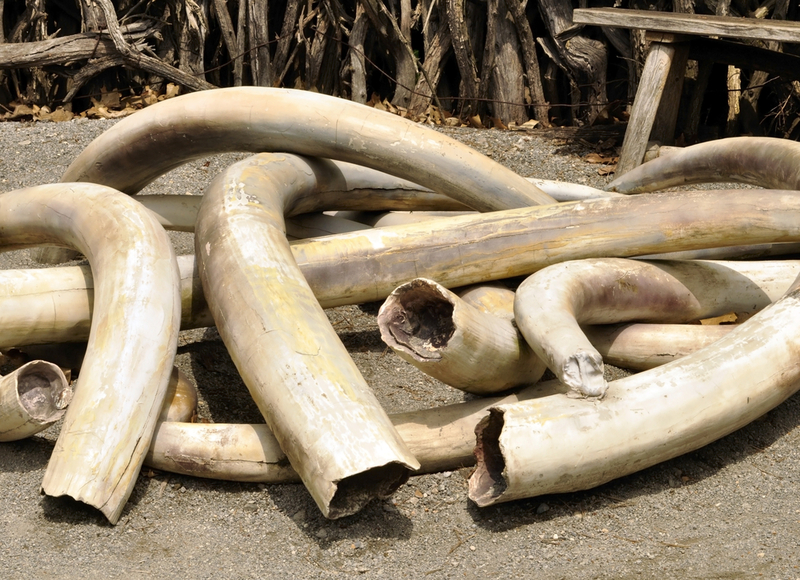 A Pile Of Confiscated Ivory Tusks. Africa boasts quite some safari with the East, Central, and Southern Africa leading the parade. The African elephant, the world’s largest terrestrial mammal, is however facing a decline despite the lower poaching level. The decrease in the elephant population is still mainly blamed on the increasing human activities in the animal’s environment. This is in addition to the fact that though poaching has reduced, it’s still not completely over yet. Seizures of large amounts of ivory was on a record high in 2016. To date, traffickers and smugglers are in a panic to clear off their stock. They want to sell off before sweeping bans finally takes root. Furthermore, the continuously increasing risk of being caught is forcing them to sell off in a frenzy. Experts report that African Elephant poaching has reduced for five years in a row now. Why Are African Elephants Numbers Still Low? Human activities are on a steadily increasing scale. With more space requirements for farming and human settlements, they are invading animal habitats. According to the Convention on International Trade in Endangered Species, CITES, the Eastern and Central African elephants in particular still have it rough. The East African elephant population has experienced a reduction in its community. Over 50 percent of the elephants in Eastern Africa were wiped out over the past 10 years. The Central African elephant is also still in turmoil as illegal killing continues though not as much as in past centuries. Nevertheless, the Southern African Elephant is having it better with more stable and increasing numbers. Ever since poaching reached a record peak in 2011, measures to reduce these activities yielded fruit with poaching reduced to the pre-2008 levels. Experts even say the decline is steady and is so for the fifth year in a row. Key players in the ivory market are to thank for their efforts. The United States, United Kingdom, Hong Kong, China and so on, are instrumental for these successes. By implementing sanctions on domestic markets and planning closure of ivory markets poaching levels must inevitably drop. Furthermore, with the closing legal of several ivory trade routes, anticipated drop in prices has probably led to many poachers seeking alternative methods of livelihood. Through strong political support, enforcing and implementing legislation to curb elephant killing has been efficient. Similarly, sustainable mutual enforcement from ivory market strongholds also helps to control ivory trade and safeguard the African elephant from extinction. That’s a bonus to closing the ivory loopholes. On average, 55 elephants get killed in a single day in Africa for their tusks. Elephant reproduction rates cannot keep up with these numbers. Though there is significant progress, more can be done to close the loopholes. For instance, the majority – if not all – African animal reserves are not fenced in any way. This is one major loophole authorities should consider. This entry was posted in Elephant Information and tagged African bush elephant, African elephant, African elephants, African Forest elephant, African Savannah elephant, Asian elephants, elephant conservation, elephant sanctuary, elephants, illegal ivory trade, poaching on November 3, 2017 by Roselyn Onuche.